This casual and lightweight, yet sophisticated style offers a contemporary pilot shape with a double-top bar design, accentuated by an elegant acetate insert. Tubular temple profiles give Bradley an updated and modern look. 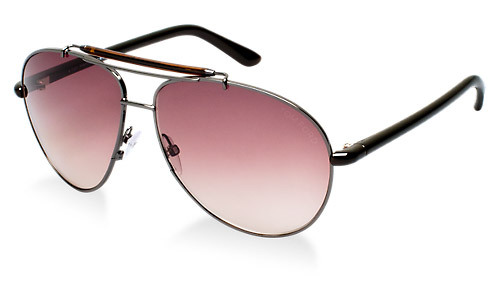 Brown gradients lenses provide maximum UV protection.